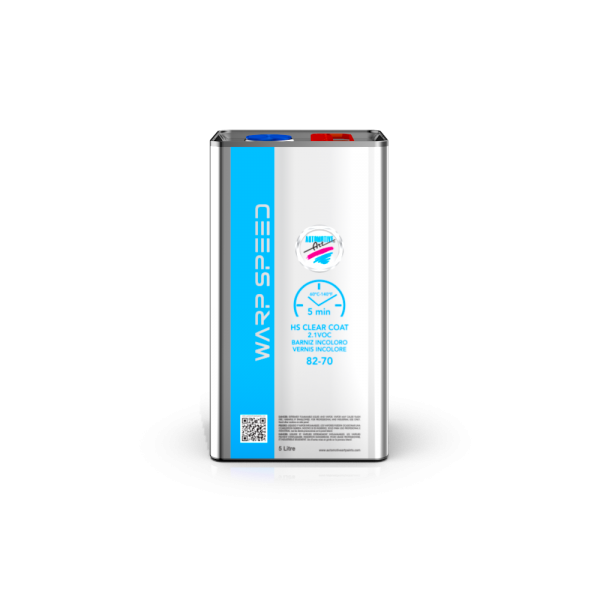 Automotive Art Warp Speed HS 2.1 VOC Clear 82-70 is specially designed to dry extremely fast, providing increased productivity for quick repairs. It dries in minutes and can be buffed and polished in under an hour, without losing any gloss. Best of all, it is 2.1 VOC complaint. *Warp Speed is a High Solid Clearcoat where application and ambient temperature can affect the drying times significantly. To achieve optimum results, the product should be sprayed with no more than a 1.3 nozzle, applying a ½ (mist coat) and then one finishing coat without flash off, at a temperature of no less than 20°C or 70°F. Automotive Art HS Top Clear 82-61 is a high performance 2.1 Low VOC European Clear that has a higher solid content than normal HS Clears. Automotive Art HS Clear Coat 2.1 VOC 82-41 has good resistance to weathering and yellowing, and it has good surface hardness and polishing properties. It is crystal clear. 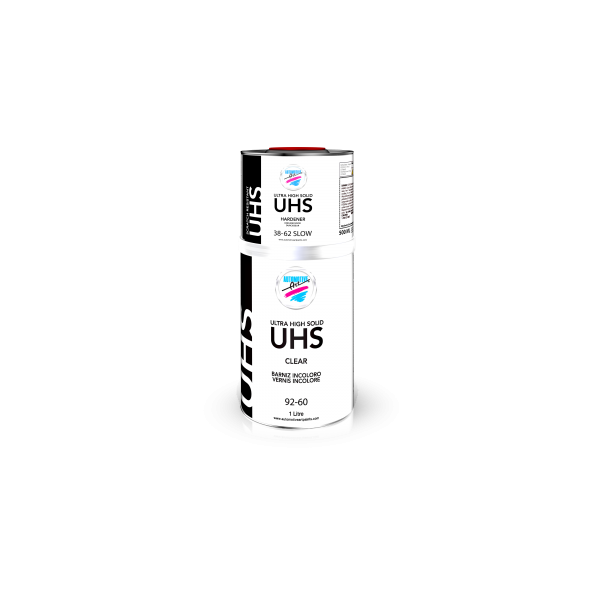 Automotive Art HS 40 Top Clear 82-40 is a high performance European clear coat. Automotive Art HS 50 Top Clear 82-50 is perfect for painters requiring a high performance, European Clear with over 50% solid content. 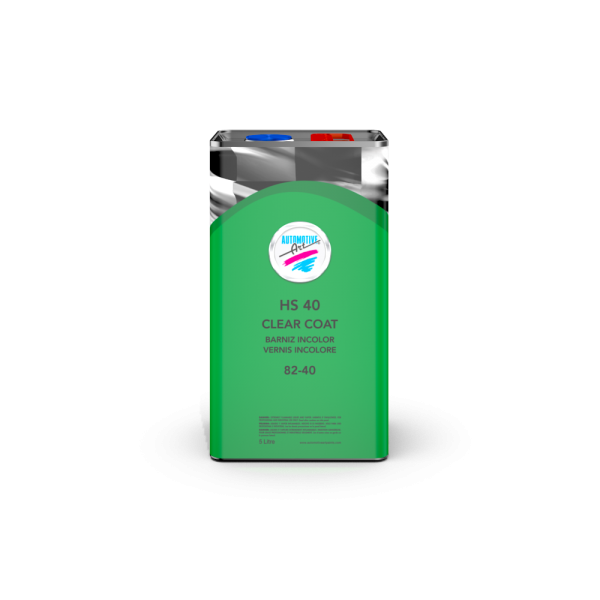 Automotive Art 4:1 Clear Coat 2.1 VOC 84-51 is perfect for painters requiring a high performance, High Volume production clear. 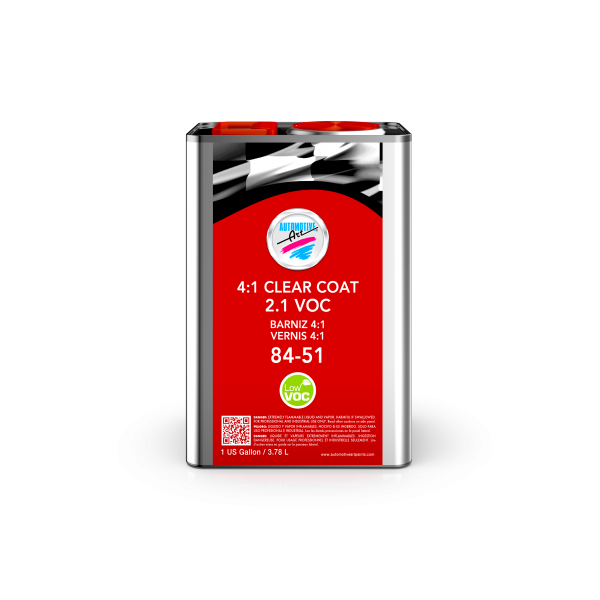 Automotive Art Matt Clear 2.1 VOC 82-56 is perfect when a matte finish is required. It can be used over any of our base coat finishes. It does not yellow and can be air or force dried. 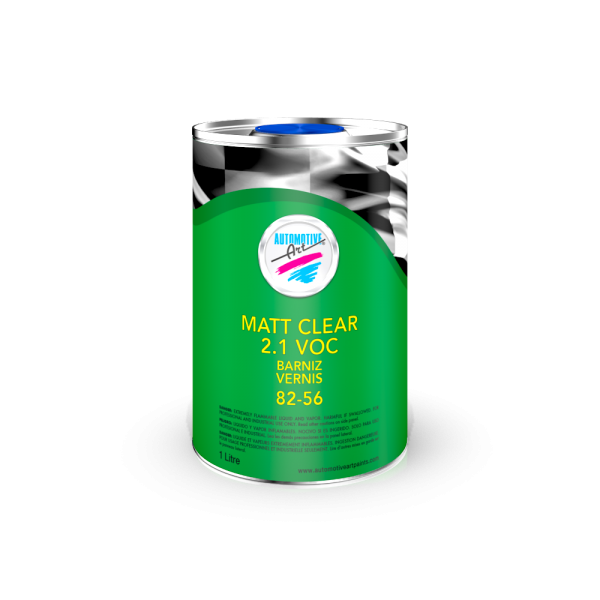 This Matt Clear uses the same hardeners as our low VOC primers and clear coats.